Need some extra grips for your bike? 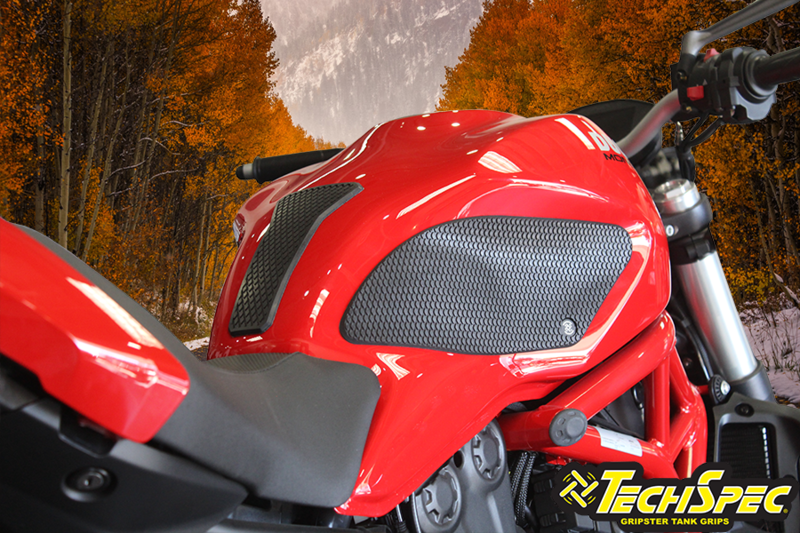 Come check out TechSpec Tank Grips available for your Ducati. 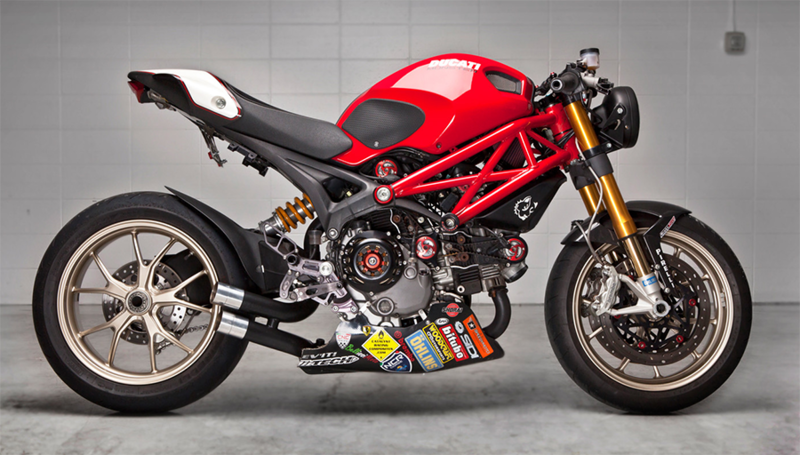 Hey guys, I like your product but if I might make a suggestion for the older Monster S2R and S4R this is my observation of what I got. As is they work fine for braking and acceleration, squeezing with the legs. But because of the shape of the Monster tank, it's very wide at the back, it splays the legs out when cornering and trying the hang off. The outside leg doesn't even touch them as is. It would help if they wrapped around the rear of the tank more. Possibly even a third pad that covered the back and especially the rear corners of the tank. 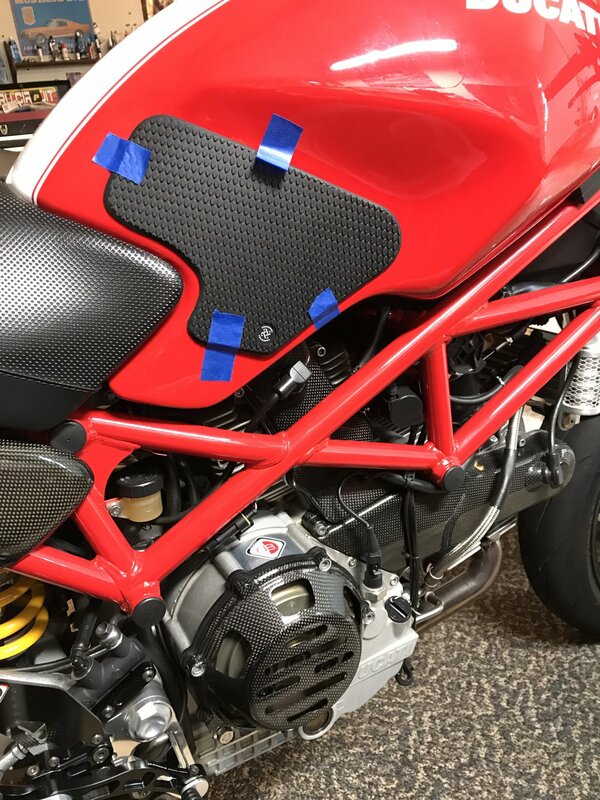 You got a very nice product which I like a lot and I hate to sound like Lorenzo complaining about his tanks, but this would help on the Monster.